"Is there really a place called 'Carefree'?" A few decades ago, people all across the country were asking themselves that question, long before many of them had visited Arizona and happily affirmed the answer for themselves. Famed folksinger, Gordon Lightfoot's hit ballad "Carefree Highway" was topping the charts, and the intriguing name of the gently rolling stretch of road leading east across State Route 17 and into Carefree was suddenly catapulted into the national consciousness. 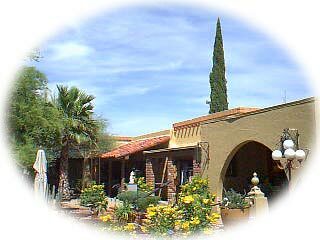 Carefree and its sister community, Cave Creek, have been capturing the hearts and imaginations of countless visitors for well over a century. The whimsical spirit in which Carefree was founded in the 1950s as one of the earliest planned communities in Arizona, weaves itself throughout the community. Visitors are beguiled as they wander amid an inviting maze of narrow streets and roadways with quirky names such as Wampum Way, Ho Hum, Easy Street, Nonchalant, or Rockingchair Lane and Primrose Path. It also boasts one of the largest sundials in the Western Hemisphere. Carefree has gained a reputation for its beauty -- the unique rock outcroppings and boulders visible for miles -- its nationally-known residents and visitors, and our shopping and recreational amenities. Among a growing array of diverse boutiques, stores, and restaurants, the downtown Carefree area boasts several topnotch galleries and jewelry shops, displaying some of the southwest's finest examples of native and contemporary art and design. Also set downtown are frequent outdoor art festivals, gourmet food, and wine-tasting events that draw an increasingly wide number of Arizona residents as well as visitors to the area. And nearby, set amid Carefree's scenic splendor, visitors can enjoy rest, relaxation and challenging play at some of the world's most celebrated golf resorts.